One of the most requested outfits from BAMF Style readers is the black three-piece Tom Ford suit that 007 wears when he arrives in style to a gangster’s funeral in Rome with his prototype Aston Martin. The tactiturn agent – once again gone rogue – swiftly seduces the gangster’s widow, the ravishing Lucia Sciarra (Monica Bellucci), before using her deceased husband’s ring to trick his way into a SPECTRE meeting. 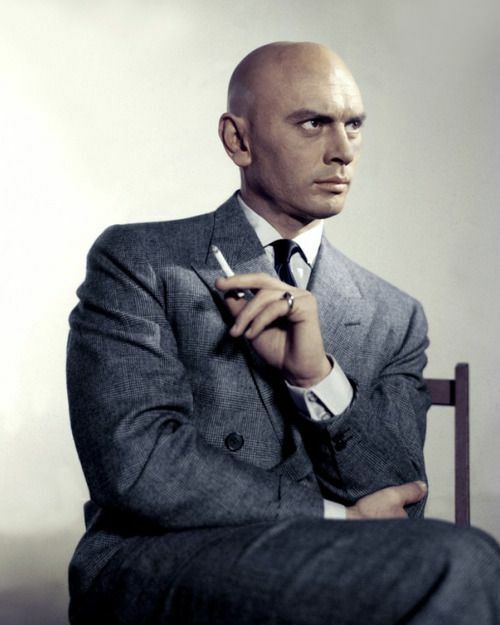 Bond finds himself face-to-face with Blofeld… and is surprised to recognize him as his half-brother of sorts, Franz Oberhauser. His cover blown, Bond is chased out of the meeting and back behind the wheel of his DB10 as he escapes the “Palazzo Cardenza” and Blofeld’s angry henchmen. The Craig era has increasingly focused on retro elements of the 007 series, and it’s rarely been executed better than this entire Rome sequence that blends sophisticated luxury, stylish tailoring, seductive romance, larger-than-life action, and comic relief. Many aspects of this outfit have been ably covered by experts, from The Suits of James Bond’s treatment of the tailoring to James Bond Lifestyle‘s rundown of the specific clothes and accessories featured in the scene, but I’d like to address the requests I’ve gotten from readers Adam, Birdman, Nico, Spencer, and many others by offering my own unique approach – and admiration – during Car Week on the 00-7th of December. Aside from his iconic dinner suits, which are entirely different, black suits are decidedly not a staple of James Bond’s wardrobe. In fact, the only other time 007 wore a solid black suit on screen was for a gangland funeral in Diamonds are Forever (1971) when Sean Connery wore a heavy black three-piece suit to bid farewell to a deceased diamond smuggler, though his dark, heavy suiting could have hardly been a comfortable choice in the hot Mojave Desert. 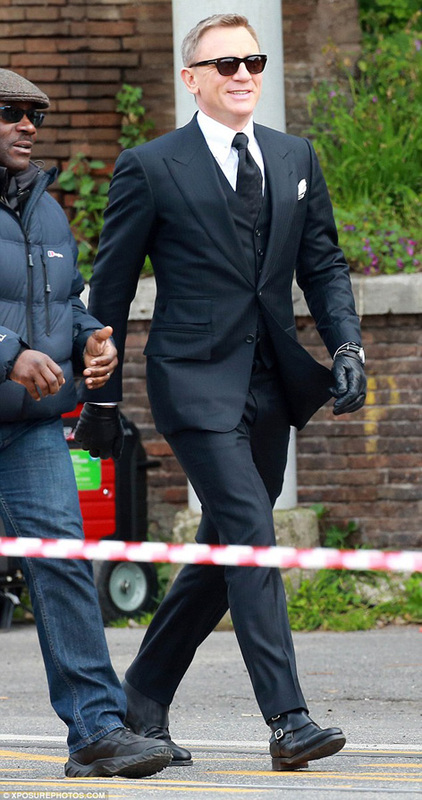 James Bond’s black three-piece suit at Sciarra’s funeral is probably the best-fitting suit of Daniel Craig’s wardrobe in Spectre, with dramatic yet classic-inspired details that make it a fine choice for fitting in among flashy gangsters. Perhaps the choice to dress Craig in this suit was an intended homage to Diamonds are Forever; if so, it was a rare sartorial improvement upon an earlier example. Craig’s suiting, identified as “black Super 110’s medium herringbone” wool by James Bond Lifestyle, is both more interesting and more versatile than the flat black of Connery’s suit. The suit was developed from the Tom Ford “Windsor” model, which also makes an appearance as the model of Bond’s ivory dinner jacket on the train through Morocco, though all of his other suits in Spectre are the Tom Ford “O”Connor” model. 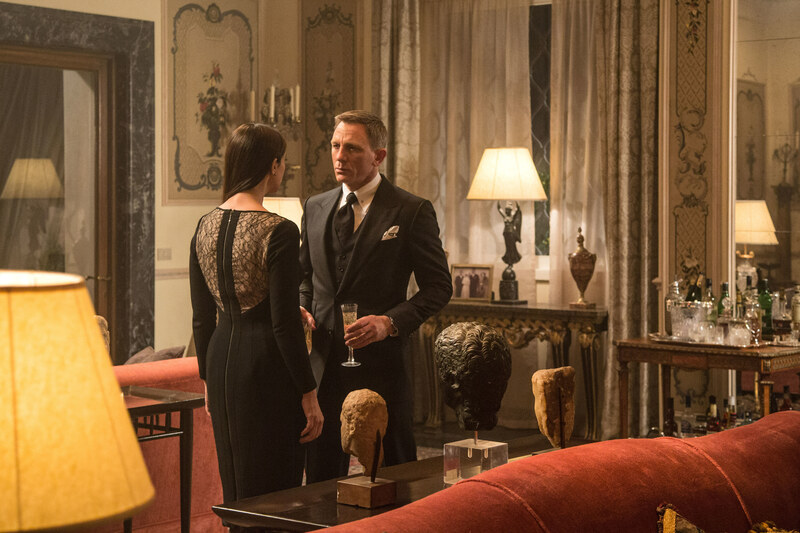 Production photo of Monica Bellucci and Daniel Craig in Spectre, highlighting his sharp black Tom Ford “Windsor” three-piece suit. The jacket features many signatures of the vintage-inspired Tom Ford “Windsor” that takes its styling cues from fashions of the 1930s and 1940s as well as the style’s revival during the 1970s disco era. These details include wide peak lapels, a fuller chest with a suppressed waist, and wide flaps over the hip pockets and ticket pocket. The jacket also has a single vent and five-button cuffs with the last button undone, proving to be something of a habit of Craig’s Bond when dressed in his Tom Ford suits. Like his O’Connor suits, this jacket has a curved “barchetta” breast pocket where Bond wears a white silk Tom Ford pocket square with a black rolled edge. This black suit is Daniel Craig’s first three-piece suit on screen since the final scene of Casino Royale nearly a decade earlier. This suit’s matching waistcoat (vest) is single-breasted with a six-button front, though the lowest button is placed on the notched bottom and isn’t meant to be buttoned. Like waistcoats from the “golden age” of menswear in the ’30s and ’40s, this particular vest has four welted pockets. Over the waistcoat, Bond wears a custom shoulder rig for his blued Walther PPK, crafted from brown leather for a classic look that not even Sean Connery’s Bond had. The rig has a holster under the left armpit, offering Bond a smooth right-handed pistol draw. Five of these holsters were custom made by armorer Dave Evans for Daniel Craig to wear throughout Spectre. In most situations, revealing a shoulder holster during a romantic interlude would probably kill the mood. The suit’s flat front trousers rise just high enough to meet the bottom of the waistcoat rather than the more classically proportional higher rise that would obscure the trouser waistline under the garment. The trousers have on-seam side pockets and jetted back pockets, and the bottoms are plain-hemmed rather than finished with turn-ups (cuffs) like Daniel Craig’s other Tom Ford suits across the series. Since his first Tom Ford suit in Quantum of Solace, all of Craig’s lounge suits as 007 have been fitted with buckle-tab side adjusters on each side of the waistband. The trousers have an extended front waistband tab with a hidden hook closure. The slide-buckle adjusters on Bond’s trousers are silhouetted as he makes his aerial escape from the SPECTRE meeting in Rome. Bond’s level of disguising himself for the funeral even extends to his shirt collar, as he forgoes the regular point collars he wears elsewhere in Spectre and opts for a white cotton poplin Tom Ford shirt with a large point collar pinned under the tie knot with a gold-toned metal “barbell”-style bar that connects via an eyelet in each collar leaf. The bold collar is complemented by a wide black tonal-check woven silk tie, also by Tom Ford, that Bond wears knotted in the Windsor knot that Fleming’s iteration had derided as “the mark of a cad” in the novel From Russia With Love. The cuffs on Bond’s white shirt here have a graceful cutaway curve that reveals the two stacked buttons that fasten the sleeve around the wrist. While the shirt’s pinned collar may be part of the agent’s disguise, these distinctive “cocktail” cuffs that blend French cuff elegance with button cuff functionality are classic 007. Also known by the more descriptive “turnback cuff”, these shirt cuffs have unconfirmed origins but their popularity boomed during the mid-20th century on the wrists of style icons like Yul Brynner, David Niven, and Peter Sellers. When Dr. No introduced the world to James Bond in 1962, Sean Connery exclusively wore cocktail cuff shirts with his lounge suits. Interestingly, a number of Italian names for the cuff have emerged over the decades – Milanese, Neapolitan, Portofino, and simply “the Italian cuff” – which strengthens their suitability for 007’s current mission in Rome. Daniel Craig channels Bond’s sartorial past with his cocktail cuff shirt. Eschewing the traditional oxfords and derby shoes, James Bond opts for a pair of black double-monk boots, introducing a new style of footwear to the 007 oeuvre. For this, Bond turns again to Crockett & Jones, his reigning favorite footwear purveyor dating back to the four different models of shoes and boots that he wore in Skyfall (2012). Craig wears black calf leather Camberley cap-toe ankle boots from Crockett & Jones’s “Main Line Collection” with two straps per boot that each buckle on the outside of the vamp. The Dainite rubber soles provide much-needed added traction as Bond finds himself bursting through windows, running over rooftops, and jumping down several floors to escape Oberhauser/Blofeld’s Stormtrooper-trained gunmen. You can pick up a pair of your own for $785 from the Crockett & Jones site. The Camberley’s Dainite soles give Bond a soft landing after his aerial escape from the Aston Martin. Note the double straps on each boot. For the outdoor sequence at Sciarra’s funeral, Bond augments his look with a long black bridge coat, black leather gloves, and Tom Ford sunglasses. Bond’s black wool double-breasted bridge coat adds a somber and stately touch. Although 007 is dressed in disguise, the bridge coat is an appropriate choice for Commander Bond, RNR, with its naval origins. A longer alternative to the pea coat that shares its Ulster collar and straight cut, the bridge coat’s appellation stems from its intended design for naval officers commanding their ship from the vessel’s bridge. Traditional military bridge coats are appointed with gold shank buttons and epaulettes (shoulder straps) for the officer’s rank insignia, but Bond’s stylish civilian coat has eight black horn buttons in a rectangular, double-breasted four-button layout and straight, unadorned shoulders. The coat has two slanted hand pockets at the sides and set-in sleeves with plain cuffs. Bond’s knee-length coat is pulled in at the waist with its belted back, decorated with a black button at each end of the belt. Read more about the bridge coat at The Suits of James Bond. Interestingly, Bond only fastens the second button down, hardly an efficient method for keeping warm and not the most accessible style if he needs quick access to his Walther PPK. Daniel Craig wears two pairs of Tom Ford sunglasses in Spectre, the first being this set of Tom Ford “Snowdon” FT0237 sunglasses with a frame in a dark tortoise brown frame called “Dark Havana” (color code 52N) and gray lenses that take on a brown cast in the finished film. Ryan Reynolds also wore a pair of Tom Ford Snowdon shades in Mississippi Grind, released earlier in 2015. Read more about the sunglasses at James Bond Lifestyle. Bond wears a pair of black driving gloves as he’s pulling up to the funeral in his DB10. Dents made these gloves as well as the black gloves that Craig wore in Skyfall, though these are the “Fleming” model designated with the product code 15-1007. These three-point gloves have perforated fingers, an elasticized palm, and a strap over the wrist that closes in the front with a Dents-branded dome stud. Dents takes pride in the hairsheep leather used to make them, claiming this to be the best leather for gloves due to its “natural strength and elasticity” as well as the fact that the sheep providing the leather grows hair rather than wool. Bond accessorizes for a funeral. Spectre reintroduced the NATO watch strap for 007, exactly fifty years after Sean Connery wore his Rolex on a striped strap in Thunderball. The well-publicized timepiece in Spectre is a steel Omega Seamaster 300 chronometer, specifically the SPECTRE Limited Edition model (reference 233.32.31.21.01.001) which was sold to the public in a limited release of 7,007 pieces. The watch, powered by Omega’s Master Co-Axial calibre 8400 movement, has a 41mm brushed and polished stainless steel case. The bi-directional black ceramic bezel is marked at each hour from 1 to 0 (0 instead of 12) and coordinates with the black dial housed under the sapphire crystal. // The five-striped nylon strap alternates in black and gray like a true NATO strap. You can read more about the watch at James Bond Lifestyle. A NATO-strapped dive watch and an Aston Martin with an ejector seat… some things never change at MI6. Lucia: If you don’t leave now, we’ll die together. Spectre promised a return to the old-fashioned elegance associated with early Bond films, thus calling for an obligatory scene of a sharply suited 007 enjoying champagne with a beautiful woman. In this case, the woman is Lucia Sciarra (Monica Bellucci), the glamorous widow of the gangster that Bond killed in Mexico City. The champagne is Bollinger R.D. 2002. Bond’s unorthodox seduction method in Spectre consists of breaking into a woman’s home, murdering two assassins, and helping himself to her champagne. Bollinger’s association with the James Bond film franchise dates back to 1973 when Roger Moore ordered a bottle (“slightly chilled”) to his hotel room in San Monique. Readers of the novels, however, may recall that the brand shows up as early as Diamonds are Forever, Ian Fleming’s fourth novel of the series, published in March 1956. R.D. stands for récemment dégorgé, or “recently disgorged”, and this particular type of Bollinger was exclaimed to be “the best” by Georgi Koskov (Jeroen Krabbé) in The Living Daylights (1987). Bond: If you’ve come for the car, I parked it at the bottom of the Tiber. Q: Well, not to worry, 007. It was only a £3,000,000 prototype. The sleek silver 2015 Aston Martin DB10 that 007 speeds through the streets of Rome was designed specifically for Daniel Craig’s James Bond to drive in Spectre. Bond’s bespoke DB10 glides through the streets of Rome en route Sciarra’s funeral. Aston Martin’s design team led by chief creative officer Marek Reichman worked closely with director Sam Mendes, who unveiled the DB10 as “the first cast member” at the film’s official press launch in December 2014. Only ten actual DB10 cars were eventually produced, all hand-built at the company’s state-of-the-art headquarters in Gaydon, England. The DB10 design took many aesthetic and operational cues from the Reichman-designed Aston Martin V8 Vantage, borrowing the Vantage’s six-speed manual transmission and building its chassis on a modified version of the same VH Generation II platform that underpinned the last decade of Vantage models. The DB10 is powered by the same 4.7-liter V8 engine found in the V8 Vantage S, accelerating the DB10 from 0 to 100 km/h in 4.3 seconds and reaching an estimated high speed of 193 mph. Read more at Aston Martin‘s official website. 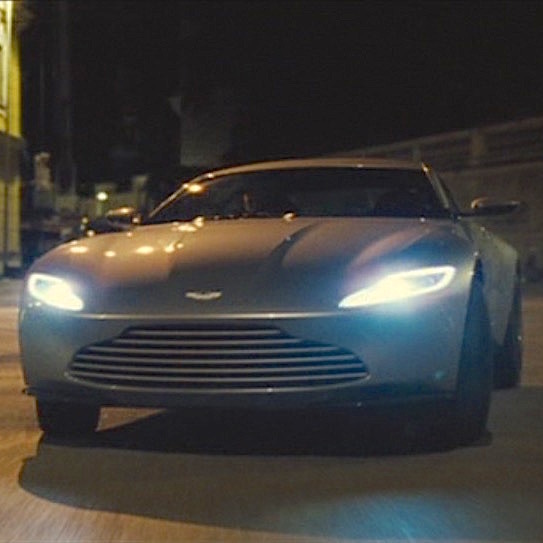 Of the ten Aston Martin DB10 models that were made, eight were used in the finished film. Two “show cars” remained, with one sold at auction in February 2016 for £2.4 million (or $3.5 million), far exceeding Christie’s expectations and making it the only DB10 ever offered for sale to the public… though one was also loaned out for Princess Eugenie of York’s wedding to Jack Brooksbank in October 2018. 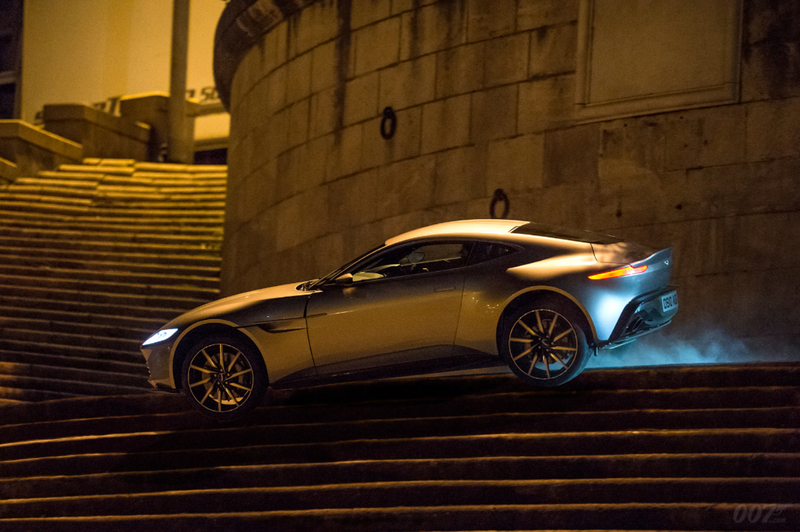 Officially released production photo of Bond’s DB10 in Rome. After the popularity of Spectre and Bond’s bespoke DB10, Aston Martin began incorporating design details into the latest version of the Vantage, unveiled in November 2017, though the new car is powered by a 4.0-liter Mercedes twin-turbo V8 engine paired to an eight-speed ZF automatic transmission, developing a whopping 503 bhp. An enduring menswear misconception is that black suits are essential to a man’s wardrobe when, in fact, they are among the least useful suits and hardly worth the investment for a quality item. The most appropriate time to wear a solid black suit – and the only time we see James Bond wearing one other than his dinner suits – is to a funeral. 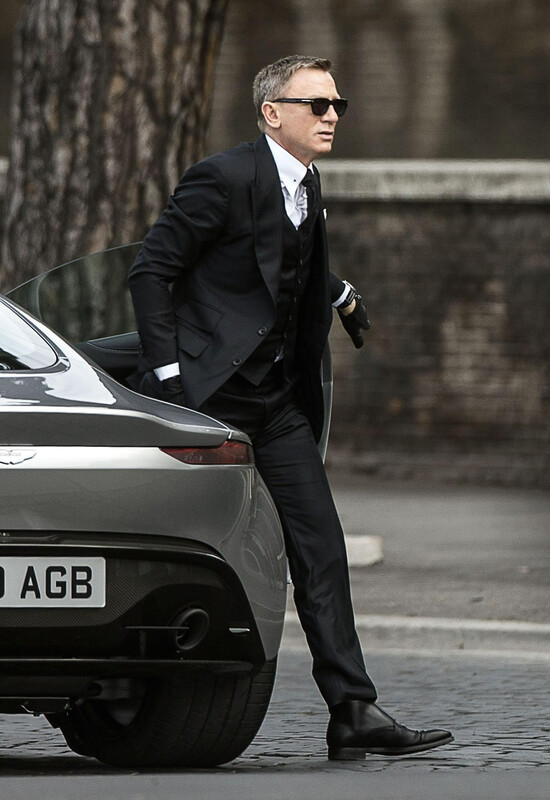 Daniel Craig’s black three-piece Tom Ford suit in Spectre has the additional distinction of a unique herringbone cloth that elevates it above the standard black suit into something that could be more practically worn for business… or for speeding through the streets of Rome in a bespoke sports car. Awesome post! Thank you what a great write up of arguably Bond’s best suit in the film. As a Pittsburgher, I’m sure you can appreciate the usefulness of a bridge coat as a winter dress coat. Here in Cleveland, the wind and lake effect snow necessitate an oversized collar that you can turn up against the elements and be fully protected. I got a US Navy surplus bridge coat in 36 oz. midnight blue wool/poly melton that weighs nearly 40 pounds. It’s the best winter coat I’ve ever owned, and all I had to do to make it suitable as a dress coat was swap the brass buttons out for gray horn. The Ulster collar brings it down a notch, but it was still formal enough to wear with my tux when I got married and not look out of place. Great post, but I don’t like this outfit, except for the coat. The huge watch and the boots make it look way too “chunky” for a funeral.